Now my five-year old has started school, the inevitable subject of a sleepover has been mooted. I was hoping – actually praying – to stave this off for another year or two but now this lovely mattress has me thinking again. 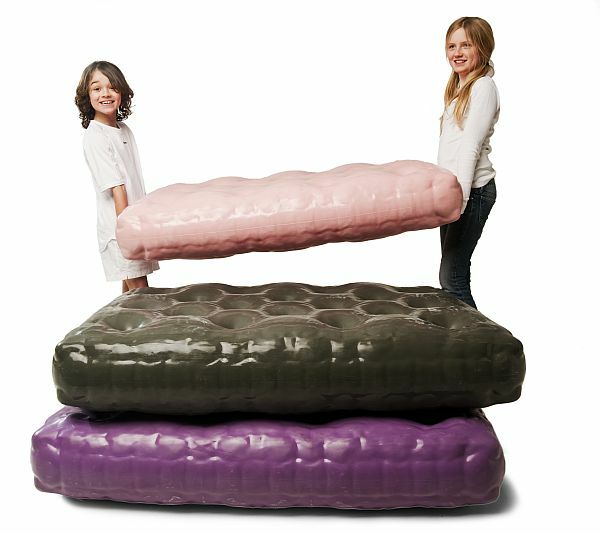 Dutch designers Bloom introduce the funky inflatable “Mattrass”. 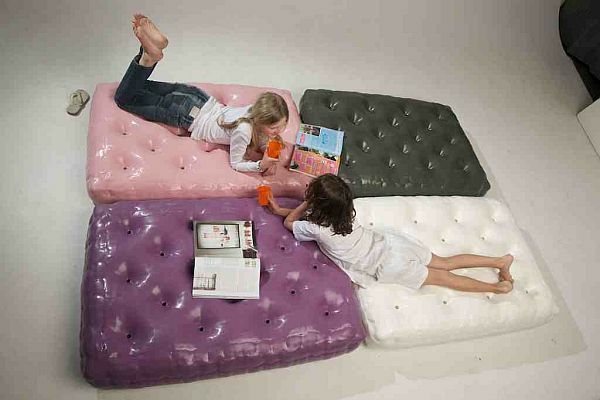 Made from PVC and available in a rainbow of colours, this is ideal not only for sleepovers but for outdoor use. They do look pretty cool for those unavoidable slumber parties this winter. Or think ahead to next season for the garden or poolside – roll on summer! Priced at €259 each, contact Bloom direct for shipping costs.